Central Springs Display Homes Now Open! Three brand new display homes designed by some of south east Queensland’s leading home builders are now open at our newest master planned community in Caboolture – Central Springs! DJ Roberts, Blue Water Homes, and P.A. & D.S. Burns are all offering some of the best value for money homes you will find. The homes feature 3 and 4 bedrooms, open planned living areas, and double garage – perfect for growing families. Central Springs is only 20 minutes’ drive from the North Lakes precinct, and just minutes away from all major lifestyle amenities, including the Central Lakes Shopping Village, major transport hubs, and a range of primary and secondary schools. Make an appointment to walk through these homes today! Brand New Park Open Now at Pacific Cove! Located on the corner of Baines Court and Girtin Circuit in our owner-occupier estate in Pimpama is an amazing brand new park! 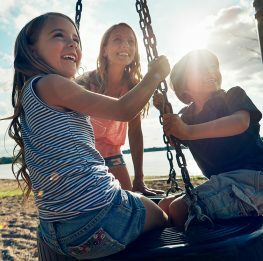 Designed to encourage local residents and visitors of all ages to get outdoors and active, the park is an opportunity for both kids and adults to have fun. Surrounded by a bike path, the park has plenty of fun playground equipment, including a slide, swings, spinner, seesaw, sand play areas, and climbing ropes. There are also a number of tables and benches in the area – perfect for a Sunday afternoon catch-up with friends. Residents of Pacific Cove enjoy the convenience of all key amenities and quality schools being only a short drive away, as well as easy access to the stunning Gold Coast beaches and a 40 minute commute to Brisbane. Land is available from only $230,000 – enquire today! Live The Ultimate Sea Change From Only $399,900! South Stradbroke Island Waters is surrounded by stunning beaches and serene bushland, offering residents their very own private island lifestyle, with all amenities only 15 minutes away. A 755sqm waterfront lot with own private beach is available from $399,000 and 600sqm dry lots overlooking the canals are selling from just $250,000. If you are looking to move into your beach home now, we have a brand new architecturally designed contemporary home featuring 3 bedrooms, 2 bathrooms, double car garage and a private pontoon reduced down to $830,000. Fish, swim, kayak or just laze about on your own private beach. Only a short walk to great resort facilities or drive your 4WD along miles and miles of unspoilt surf beach. Discover south east Queensland’s best kept secret and organise a private inspection today! We Have Saved the Best For Last at Coomera Quays! Our final ever waterfront lots are now selling at our boutique canal and riverfront development, Coomera Quays! Only a limited number of lots are left in this waterfront estate, including a large 676sqm canal front allotment with a private pontoon, which is now reduced to only $567,000. We also have a luxury 5 bedroom house and land package on offer on a large waterfront lot with a private pontoon for just $799,000. The residents of canal front lots will enjoy direct bridgeless access to the Gold Coast Broadwater via the Coomera River. Centrally located on the north side of the Coomera River, Coomera Quays is just a short walk to the Coomera Waters Marina village with its award winning café dining, restaurants, mega IGA deli, and much more. Don’t miss out on your last chance to be a resident of Coomera Quays! Sandstone Lakes Selling Now From Just $203,000! Sandstone Lakes frames a stunning lake and features some of the most attractive streetscapes and parklands in the area. Level, builder friendly lots are available in the latest release on a quiet street surrounding parkland and are sized from 420sqm up to 600sqm from only $203,000! Tailored home and land packages are also available from $349,000, perfect for savvy first home buyers. Sandstone Lakes has been popular with downsizers due to the affordability, as well as first home buyers who are taking last minute advantage of the $20,000 Queensland Government Grant. 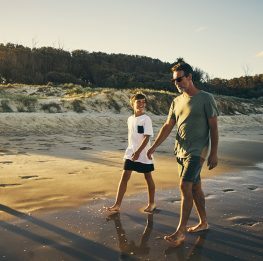 This unique beachside community is only minutes from all your daily needs, including shopping centres, schools, universities and transport, and only a 55 minute drive from the Brisbane Airport. Enquire now to find your dream home on a budget! Subscribe below to be the first to know each month!